Rahul Singh, M.D. is a board-certified general surgeon who specializes in minimally invasive surgery and bariatric surgery. 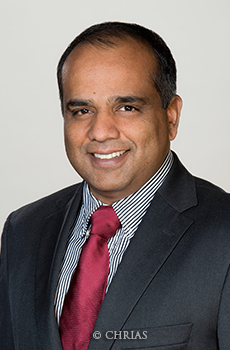 Dr. Singh is the only bariatric surgeon at Bayhealth that performs all four bariatric procedures and that has also been highly trained in robotic surgery. He is the Medical Director for Bariatric Surgery Center of Excellence at Bayhealth Medical. Before completing a fellowship in laparoscopic and bariatric surgery at the University of Missouri in Columbia, MO and a general surgery residency at the University at Buffalo - State University of New York, Dr. Singh earned his medical degree from Crimea State Medical University in the Ukraine and served an internship at Sawai Man Singh Medical College and Hospital in Jaipur, India. Since graduating, he has focused on the latest minimally invasive surgical techniques, including robotic and laparoscopic surgery, which is performed through a scope to reduce incisions, decrease pain, and shorten recovery time. Dr. Singh is respected by his peers and patients in the community because of his hard work and commitment to offer the best, most advanced care available. He is skilled in performing all four bariatric procedures (gastric bypass, gastric banding, sleeve gastrectomy and duodenal switch) in addition to extensive experience performing general surgeries. Dr. Singh has authored various publications including peer reviewed journal articles and academic presentations. Additionally, he is fluent in Hindi, Russian, and English. Joining the surgeons & staff at CHRIAS is very exciting. I’m proud to be part of a community that shares the same commitment to excellent patient care as I do. I am eager to continue my care with such a wonderful practice, and look forward to watching CHRIAS continue to grow.